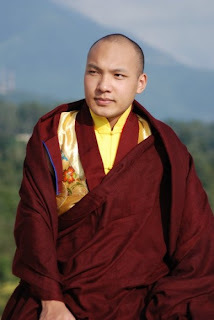 My article The Karmapa story: Right intentions, bad accounting on the Karmapa is posted on Rediff.com. Click on the title to read. The Tibetans are made to celebrate the Chinese New Year. In the Land of Snows, Losar, the traditional Tibetan New Year (which falls on March 5) has been forgotten and replaced by the Chinese New Year. In a few days, the Chinese media will probably publish photos showing the Tibetan people 'celebrating with gaiety and fervour' 'their' new New Year festival. 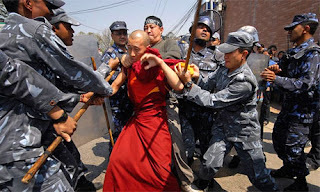 The Chinese leadership will afterward be surprised by the deep resentment of the Tibetan 'minorities' against Beijing. 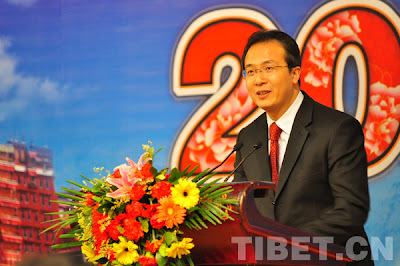 A gala sponsored by China Tibet Online was held in Beijing, Jan. 28 2011, China Tibet Online reported. A total of 200 people including Tibetologists, journalists , and experts from cultural, economic and other fields gathered together to celebrate the upcoming Chinese lunar New Year and the Tibetan Year of Iron Rabbit, tasting the highland barley beer brought from the snow-covered plateau and enjoying the wonderful performance of singing and dancing. 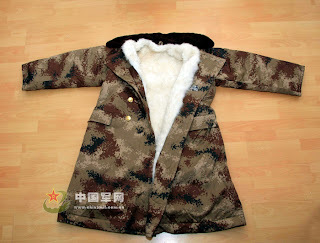 The year of 2010 is special for China Tibet Online. In this year, it has launched new versions of four sub-web pages, including Chinese, English, Tibetan and the Weekend Holiday. The new versions have received great attention from readers at home and abroad. 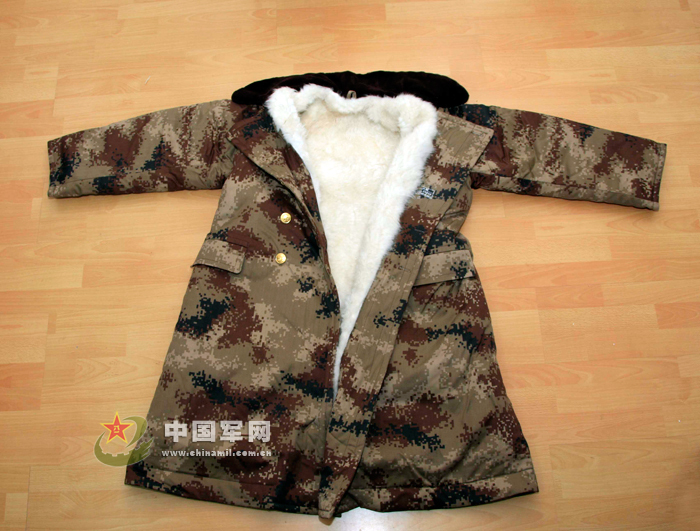 China Tibet Online was founded in 2000. At present, editors from China Tibet Online released information about Tibet in Chinese, English, and the Tibetan in order to promote the international communications and enhance understandings of Tibet overseas. With the Spring Festival around the corner, Tibetans working outside Tibet have begun their journey back home. Optional coaches in Lhasa have been launched to ease the travel rush, China Tibet Online reported. The timetable for trains departing from Lhasa has been adjusted. The timetable of Train T28 from Lhasa to Beijing has also been adjusted. Wang Jianqiu, who comes from southwest China's Sichuan Province, was very happy on her way home. Though she has to transfer another train after her arrival in Lanzhou to get home, sha was talking about her 17-year-old daughter all the time since she cannot wait seeing her. "Every year during this time, we have to go home, since the Spring Festival is that for our family reunion though Lhasa is more warm and comfortable. We will be back to Lhasa in Match, where we have a Sichuan restaurant at Xianzu Island on the southern part of Lhasa," Wang said. "The train T28 is 5 hours shorter than its regular duration. The train departed from Lhasa at 8:30 before the Spring Move (passenger transport around the Chinese lunar new year), so we had to get up very early to catch the train, but now it is more convenient for us to get ready for departure," said Lee, who was heading to Beijing on the train T28. It is good when a Senior Researcher of the Chinese Academy of Sciences says: "The riches of economic development are not as valuable as green mountains and clear rivers". He can't be accused to be a China baiter or a fanatic. With the number of new projects sanctioned during the last few weeks, we are bound to see more and more human-made disasters in the future. The problem is that there is too much money involved and the local apparatchiks have to fill up their pockets. 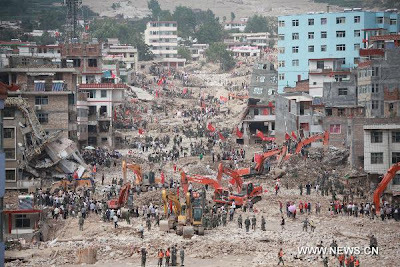 As Jiang Gaoming writes: "Zhouqu exploited its mountains, its water and its rivers and, in return, suffered a powerful mudslide", in other words, nearly-instant Karma. When will humans learn from past mistakes? Last week, I posted the story of Kissinger finding propaganda material against "American imperialists" in his guest house when he arrived in Beijing in 1971. Forty years later, the mindset of the leadership of the Middle Kingdom has not changed. Obama should have played the Tibetan National Anthem for Hu Jintao. The song Lang Lang played describes how beautiful China is and then near the end has this verse, “When friends are here, there is fine wine /But if the jackal comes /What greets it is the hunting rifle.” The “jackal” in the song is the United States. The name of the song is “My Motherland,” originally titled “Big River.” In an interview broadcast on Phoenix TV, the first thing Lang Lang is quoted as saying is that he chose the piece. Whether Lang Lang’s decision to play “My Motherland” was entirely his own is impossible to confirm. That his choice was known in advance to CCP officials is very likely. Cheng Xiaonong is a former assistant to former CCP General Secretary Zhao Ziyang. He now lives in New Jersey and is a commentator on Chinese politics. In addition to the Chinese delegation likely knowing of the program in advance, CCP officials connected to Phoenix TV would also have known. Phoenix TV is based in Hong Kong and its signal may be seen throughout China by satellite. Its interview with Lang Lang was broadcast at 7 a.m. Beijing time on Jan. 20, which is 6 p.m. D.C. time on Jan. 19—shortly before the state dinner. The interview was not live—it was filmed on another day in advance of the broadcast. 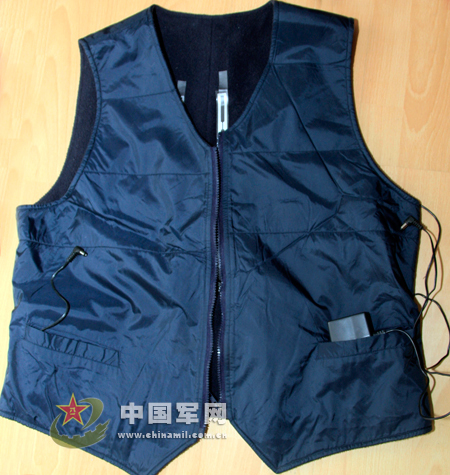 Phoenix TV, nominally independent, is known to have very close ties to the CCP. The scholar Anne-Marie Brady, whose research focuses on China’s media and propaganda, has said that Phoenix TV is more loyal to the Chinese regime than the official state-run media. At a minimum, the staff at Phoenix TV knew in advance that Lang Lang planned to play the song. Given the close ties between the network and the CCP and the sensitivity of anything broadcast about Hu’s state visit, CCP officials not knowing this in advance would be unusual. “My Motherland” having been played at the White House will be seen as a propaganda triumph in China. “This deeply anti-American chauvinism has been fanned by the CCP for years; Lang Lang is expressing the feelings of this generation of angry young people,” Yang said. The phrase “right place, right time, right song” echoes Chinese propaganda and is a declaration of victory over the United States. Chinese have been taught that the United States lost the Korean War. A U.S. general is quoted in the propaganda as describing the Korean War as being “the wrong war at the wrong time in the wrong place with the wrong enemy,” which is taken as an admission of defeat. In fact, the quote is from Gen. Omar N. Bradley testifying to Congress as to why the United States should not extend the Korean War into China. In a press release on Jan. 21, the well-known democracy activist Wei Jingsheng commented on Lang Lang’s performance at the White House. 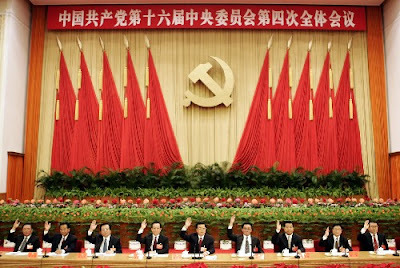 Wei underscores how U.S. administrations have failed to understand the CCP. Whether Chinese officials intended Lang Lang to play this piece, its performance at the White House fits a general pattern of Chinese propaganda attacking the United States. Subtle details are seized on and used to humiliate the United States before the Chinese people. When Nixon visited China, a photo was taken of him getting off the plane to greet Chinese Premier Zhou Enlai. Nixon has a big smile and extends his hand out to Zhou. Zhou had a bum arm at the time. He stood with a rigid face and held his hand close to his body. Neither the White House nor the Chinese Embassy responded to phone calls requesting comment on this story. This article in The Hindustan Times shows the lack of knowledge of the so-called 'experts' preparing assessment for the large dams in the Himalayas. Often their knowledge about environment is about the same level as their cartographic knowledge. It is quite ominous for the North-East. The map issue is an old one. During talks with Zhou Enlai, the Chinese Premier in June 1954, Nehru mentioned for the first time the fact that China government was grabbing its neighbour's territory on its maps. Nehru was very 'casual' about it. Over the years, he realized the seriousness of the issue, but, by then, it was too late. "Jawaharlal Nehru: As regards maps, I just casually mentioned to you some of the anxieties of our neighbours. We are not worried on this point. Our frontiers are clear but I mention it in the case of Burma because questions of this kind become a handle in the hands of enemy. Supposing we publish a map showing Tibet as a part of India, how would China feel about it? But as I said, I am sure, the maps were old maps and you did not mean it. Answer from Zhou Enlai: Maps: It is a historical question and we have been mostly printing old maps. We have made no survey of the borders and not consulted with our neighbouring countries and we have no basis for fixing the boundary lines. We made our maps and revised them from the maps of other countries. At least we do not have any deliberate intentions of changing the boundaries as KMT had. The whole thing is ridiculous. The question of boundaries between China and Burma was not settled even in Manchu regime and you will find differences even in our boundaries with the Soviet Union and Mongolia. We can further discuss the matter with U Nu but we want time for preparation. (Selected Works of Jawaharlal Nehru, Volume 26)." In other words, the Chinese first grabs territory and then prepare themselves to discuss the issue. But more unbelievable, four years later, nothing had been done about it by the Indian side . In a note sent on 8 April 1958 to S. Dutt, the Foreign Secretary, Nehru was still shy about the Chinese map aggression. He wrote: "I think that our High Commission in London should certainly take up this matter with the Chinese Embassy. We might also refer the matter here in Delhi to the Chinese Embassy and express our regret at such maps being issued on behalf of the Chinese Government. On the whole, I am inclined to think that we need not at this stage ask our Embassy in Peking to take up this matter. Thus, our present approach will not be too formal and at the same time the Chinese Government will know what we feel about the issue of such maps. I have a vague idea that one or two of the border issues are going to be discussed soon here with the Chinese representatives. 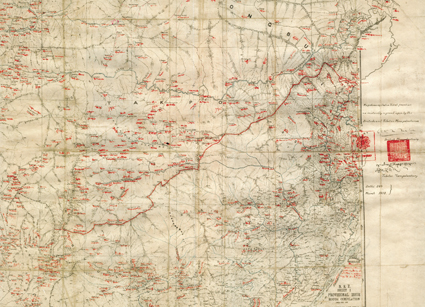 When such a discussion takes place, we might draw their attention to the inaccuracy of their maps generally." The result of 'not being too formal' is that more than 50 years later, China still publishes the same maps and more pathetically India 'experts', some Indian 'experts' use the Chinese maps. 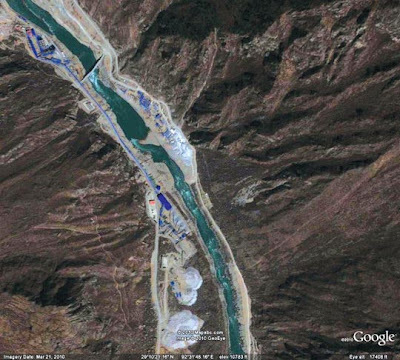 For the more formal correspondence between India and China on the subject, see the White Paper I.
Google maps showing Arunachal Pradesh in China were used in an environment impact assessment (EIA) report an Indian PSU produced for a mega private sector dam. The report - including the map - was hosted on the official website of the Union environment ministry and stayed there for more than a month until an NGO in Arunachal filed a police complaint on December 5. The ministry has not approved the project yet. The blunder, allegedly in a hurry to clear a contentious 2,700-megawatt dam awarded to Jaypee Arunachal Power Limited (JAPL), surfaced around the time New Delhi and Beijing were at odds over Beijing issuing stapled visas to J&K residents and claiming Arunachal as its territory. JAPL, a subsidiary of the Jaypee Group, last year entrusted the downstream impact assessment study for its Lower Siang Hydro Electric Project to Water and Power Consultant Services (Wapcos), a PSU under the Union water resources ministry. The Wapcos report was put on the website to elicit public response, as is the practice. "The environment ministry subsequently trashed the EIA, but New Delhi has to treat the Google map issue as more than a fiasco. It is treason of the highest order, besides being an insult to the people of our state," said Vijay Taram, spokesperson for the NGO Forum for Siang Dialogue (FSD) that filed the police complaint. An environment ministry official, who did not want to be named, said such errors by consultants have become frequent and corrective measures are being taken. "We have asked consultants to take accreditation from a government body," the official said. The FSD has shot off letters to the President, Prime Minister and relevant Union ministries apart from local authorities seeking punitive action against those responsible. Locals have also sought scrapping of the dam, which is expected to displace at least 5,000 tribals. "We are looking into the pros and cons of the issue," said East Siang deputy commissioner Onit Panyang. Something which always surprises me in India, are the pronouncements of the ‘experts’. 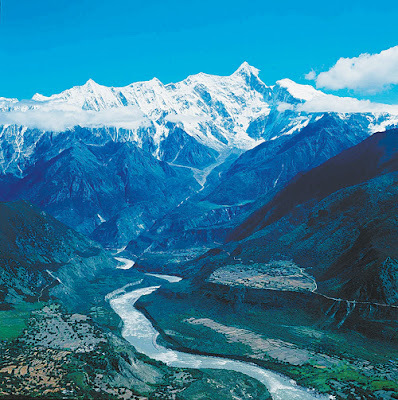 Take the case of the Brahmaputra and the dams that the Chinese are building on the Tibetan section of the mighty river. Nearly 10 years ago, when I started writing on the subject; some ‘experts’ called me a 'cheap journalist, running after scoops'. Unfortunately for my detractors (and for India), what was then dismissed as a 'scoop', has now taken a very concrete shape. But some Indian ‘experts’ (I will not name them) still deny that anything is happening. Recently, an eminent professor told an audience at the Kolkata Indian Institute of Management: “It is more important to gather statistics on the effects of climate change than to get preoccupied with China building dams in the region”. Unfortunately, ‘experts’ not the only blind ones: Union Power Minister Sushil Kumar Shinde recently declared: “I have not been communicated by any quarter that China was constructing dams on Brahmaputra. So there is no point to react to it.” No comment. The journalists rightly say that the Yarlung Zangbo is the last of China’s great rivers to remain undammed; and add that ‘it will soon be history’. It is quite frightening for the people downstream. But let us look at Beijing’s rationale. To maintain a tempo close to a double-digit growth, the Communist regime in Beijing has become an ogre devouring energy world-wide. Most of the raw materials (such as oil, gas, wood, minerals, etc.) necessary to feed the economic engine can be ‘bought’ from outside China, except for one, water. Water is therefore crucial to the survival of the Chinese model for two main reasons: first, the energy generated by hydropower plants is badly needed for the economy. China's theoretical hydro-power resources have been estimated at 384 gigawatts. Seeond, why water is so important to China? It is because the leaders need to feed more than 1.3 billion people. In the 1980’s, the American agronomist Lester Brown wrote a book, Who Will Feed China in which he studied the cases of Japan, Korea and Taiwan. Already 25 years ago, the conversion of agricultural land for other uses (factories, residential areas, airports, roads, flyovers, etc…) had provoked the loss of 52% of Japan’s grain harvested areas, 46% of Korea’s and 42% of Taiwan’s. In the meanwhile more and more waters were being used for industrial purposes. Brown deducted that the same process would occur in China and ultimately China would be unable to feed its own people. A real nightmare for Beijing! The most acute problems facing China today are food and water. The future of the Middle Kingdom depends on the success or failure of the present Emperors to tackle these issues which are closely interlinked and, if not solved, are bound to have grave social, political and strategic consequences for the Chinese nation and indirectly for its neighbours. With this in mind, Beijing engaged in the construction of mega-dams in the 1980’s. During the past 25 years, China has built some of the largest hydroelectric plants in the world. And let us not forget that most of Asia’s waters have their sources on the Tibetan plateau, the principal watershed in Asia. Tibet’s waters flow down to eleven countries and are said to bring fresh water to over 85% of Asia’s population, approximately 50% of the world’s population. To come back to The Southern Weekend, it gives details on the present stage of the damming plans: “A series of hydropower stations is proposed for the Yarlung Zangbo. If they are all built, Zangmu will be the fourth in a row of five on the Sangri to Gyaca stretch of the river, between the Gyaca and Jiexu plants. There has been no official confirmation that the construction will go ahead.” Yan Zhiyong, the general manager of China Hydropower Engineering Consulting however told the media: “By about 2020 most of China’s hydropower projects outside of Tibet will have been completed.” Several well-known Chinese hydropower firms are participating in the blue-gold rush to Tibet. “Could the world’s biggest hydropower station be built in Tibet?” was the title of an article in the Guangming Daily in 1998. It was written by Chen Chuanyou of the Institute of Geographic Sciences and Natural Resources Research at the Chinese Academy of Sciences. 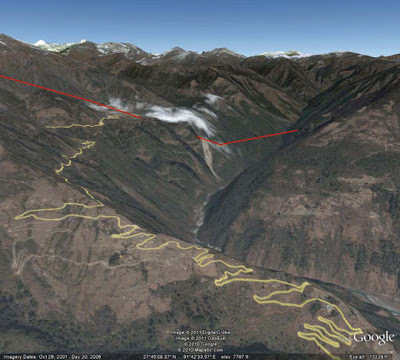 The researcher proposed building a reservoir on the middle reaches of the Yarlung Zangbo to raise the water level ....and then drill a 16-kilometre tunnel to carry the water. It estimates that a drop of 2,300 metres would allow for three mega hydropower stations. Indian 'experts' will continue to deny the possibility of such a project or conclude that it will have no impact downstream: "The apprehension is political perception, that’s all. ...The Chinese share is minimal — sensitive only in the lean, winter months when the discharges in the regional river basins dry up", Chen says. 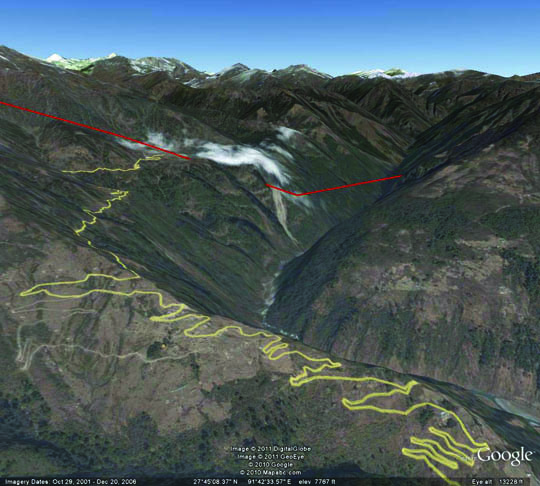 Later studies found that the Yarlung Tsangpo had hydropower potential of 114 gigawatts. Further the potential was highly concentrated, with the possibility of a 38-gigawatt hydropower station near the Great Bend in Metok county, which is nearly double the capacity of the Three Gorges Dam (22 gigawatts). Coincidentally, the day Premier Wen Jiabao arrived in India, the last tunnel for the road linking Metok County to the rest of Tibet was inaugurated; the way for eventual mega-projects was open. In November, Jairam Ramesh, the Minister of State for Environment and Forests gave a written reply to a question in the Rajya Sabha: "China has so far denied any proposal for diversion of Brahmaputra water in China. As per the information available with Government of India, no instances of water diversion activity on river Brahmaputra have been noticed so far." Whether hydropower is clean is a separate issue, the fact remains that mega projects are on track in Tibet and India is not informed about it. My article How US glosses over the truth was published on Monday in The Pioneer. Something strange! As I mentioned in an earlier posting, the Nalanda tradition was never followed by the Chinese. Nalanda is mainly associated with China because of the travelogue of the pilgrim Huanzang (596-664), who visited India in 629 (he came by the route through the Taklamakan desert). His fame is due to the extraordinary record of his travels, as well as to Wu Cheng'en's novel Journey to the West, (published around 1570 during the the Ming Dynasty). The novel recounts the imaginary adventures of Huanzang and his companion, the monkey king Sun Wukong. 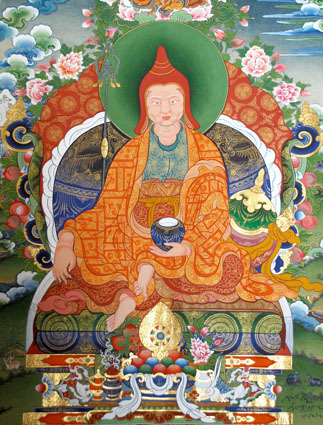 In Tibet, King Trisong Detsen invited Shantarakshita, the Abbot of Nalanda to teach the Buddha Dharma and ordain the first monks. The Great Monk predicted that a dispute would arise between two schools of Buddhism, the Indian (Nalanda) and the Chinese. The issue was sorted out through the famous Samye Debate. After 2 years of intense discussion, the Indian path prevailed and a proclamation was issued by the King stating that the Indian Nalanda path was thereafter the orthodox faith of the Land of Snows. So why should China give so much money for a tradition in which they never believed? Probably with some ulterior motives? Chinese Ambassador to India, Zhang Yan has announced one billion US dollar aid for the reconstruction of Nalanda University. Yan made the announcement after meeting Bihar Chief Minister Nitish Kumar here on Thursday. "Nalanda University is under the reconstruction. Chinese government has donated one billion US dollars, to support the reconstruction of the Nalanda University," Yan told reporters. "I will visit the University and discuss with the chancellor or vice-chancellor, how two sides can cooperate with each other to make this project very successful work," he added. Yan encouraged cultural exchange between Bihar and China other than showing keen interest in the development of the state's agriculture and industry. "Chinese side is very interested to develop co-operations with the state in many areas, especially in the agricultural industry as well as in infrastructure. Furthermore, we want to develop country exchanges with the state of Bihar," said Yan. The Nalanda University Bill, 2010, will help begin a Central university in Nalanda district, on the lines of the ancient university, which was founded during the 5th century A.D and became a centre of learning for students from across South and East Asia. 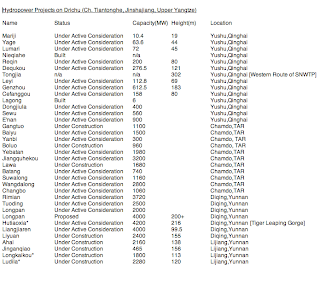 China Tibet Online announces the official sanction of 25 new 'terraced' hydropower stations on the Upper Yangtze (Drichu in Tibetan) and other rivers of Eastern Tibet. It is not clear to me what a 'terraced' hydropower station is. It seems a new term. A friend tells me that it is probably "a cascade of hydropower stations, like the terraced rice fields where water flows from upstream to downstream fields." This announcement confirms a recent report from Reuters which affirmed: "China has approved several new hydropower projects recently, in a sign that the government is speeding up development of clean energy after an approvals slowdown in recent years because of concerns including environmental impact. The National Development and Reform Commission (NDRC) said in reports on its website (www.ndrc.gov.cn) that it had approved the construction of the 2.6-gigwatt (GW) Changheba hydropower project in Sichuan province this month. The commission said it had also approved the 2.4-GW Guan'di hydropower station and the 600-megawatt Tongzilin hydropower project, both in Sichuan, in September. ...Approvals for big hydropower projects had almost come to a halt in recent years amid complaints about the environmental impact and economic viability of large dams, as well as the treatment of migrants displaced during the impoundment of reservoirs." Whether this is 'clean energy' is another issue. 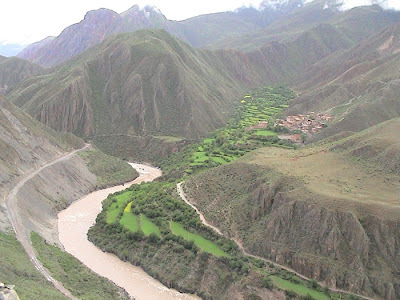 Eastern Tibet's Chamdo Prefecture plans to build 25 terraced hydropower stations in accordance with the water-resource development plan along the Drichu River, Dachu River and Ngulchu River, said Urgyen Phuntsog, vice secretary of the Chamdo Party Committee. 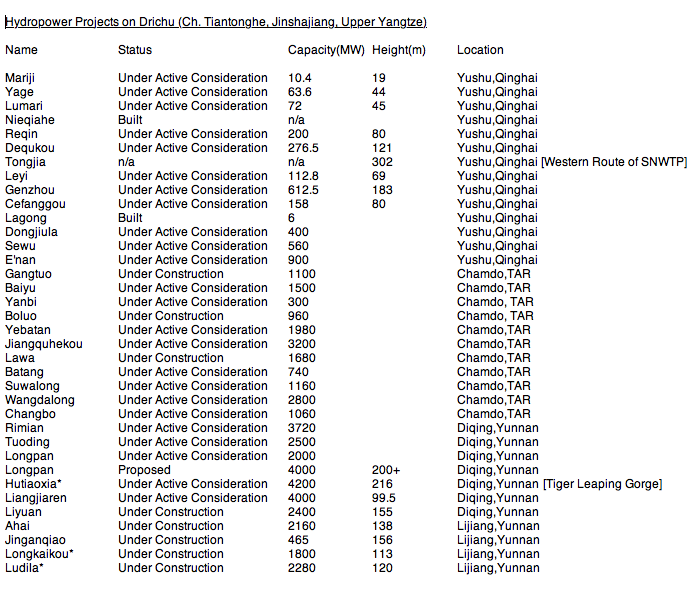 So far, Chamdo has completed the preliminary surveys on seven terraced hydropower stations, and the feasibility studies on the Yerpa Beach, Lawa and Suwalong terraced hydropower stations have been in full swing. In Chamdo, the total water reserve amounts to 40.46 million kw while the overall hydropower generated in Chamdo was 280,000 kw as of the end of 2010. Chamdo will build several major power plants along the three rivers in the 12th Five-Year Plan period (2011-2015), with its installed capability estimated to over 5 million kw by 2015. By 2020, Chamdo's installed capability is expected to exceed 10 million kw and then it will basically set up a national energy base to transmit electricity from the western to the eastern regions. These figures published by Xinhua are very impressive, but they do not take into account one factor that is 'happiness'. In 1972, the former King of Bhutan, Jigme Singye Wangchuck invented the concept of gross national happiness (GNH). It was an attempt to define 'indicators' measuring quality of life or social progress in a more holistic term than gross domestic product (GDP). Padma Choling, the 'governor' of Tibet has probably never heard of this concept. He recently said that "the fight against the Dalai Lama clique is meant to be lasting, intense, complicated, and sometimes fought vehemently." What about the fight against 'unhappiness'? 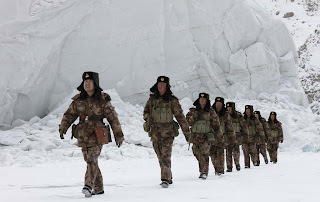 By the way, the infrastructure and roads mentioned in this article are not for the happiness of the people of Tibet, but to bring Han tourists (11 millions this year) to Tibet and provide the PLA the necessary infrastructure 'to defend China's borders'. To give an idea of the figures, 1 dollar is about 6 yuans. Tibet's regional government leader Padma Choling has said, at the local parliamentary session, that Tibet is at its best period, citing figures to review the plateau region's development over the past five years. Tibet launched an ambitious "new countryside" program in 2006 to improve housing conditions for farmers, herders and other low-income groups. With a 17-billion yuan investment from the state treasury, Tibet has provided new homes for about 300,000 families with a combined population of 1.43 million. Another 185,500 families are expected to move into new homes by 2013, with access to safe drinking water, electricity, road, telecommunication, natural gas, radio and television as well as postal services. Between 2006 and 2010, Tibet earmarked a total of 10.1 billion yuan to preserve the plateau ecology and environment, three times as much as in the 2001-2005 period. Tibet established eight new nature reserves to preserve its wetlands, natural forests and pasturelands and contain desertification and soil erosion. The central government earmarked 137.8 billion yuan for 188 key infrastructure construction projects in Tibet in the 2006-2010 period. By the end of last year, 109 of these projects had been completed and the other 79 were underway. Among the most important projects were a new railway from Lhasa to Xigaze, Gunsa Airport in the northern Ngari Prefecture, Bangda Airport of Qamdo, and a 100,000-kilowatt photovoltaic plant in Ngari. By the end of 2010, Tibet had finished renovating 80 percent of its state highways and built blacktop roads to 54 counties, bringing the total road mileage to 58,000 kilometers. Meanwhile, the ongoing construction of a highway to the isolated Metok county and Tibet's first ever expressway linking Lhasa and the Gongkar Airport will shorten travel time for the Tibetans. The per capita net annual income of Tibetan farmers and herders reached 3,990 yuan in 2010, nearly twice the 2005 figure. The increase was attributed to output growth in the farming and herding industries, as well as additional earnings from tourism and other service industries. 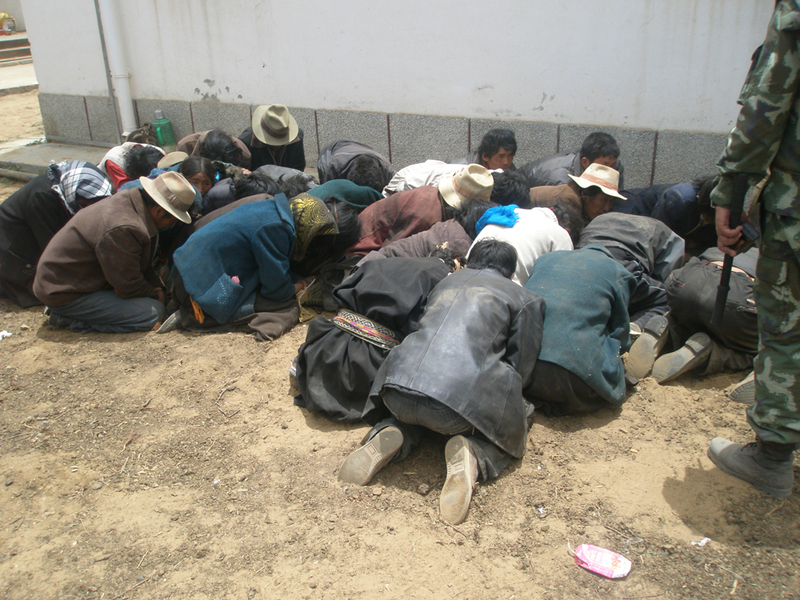 The central and regional government spent 1.7 billion yuan to finance free medical services for Tibetan farmers and herders in the 2006-2010 period. Over the five years, the government renovated 20 Tibetan county hospitals and sent mobile hospitals to patrol 602 villages in 74 counties. Tibet had 107,800 firms with a combined registered capital of 50 billion yuan at the end of 2010, up 9.3 percent and 15.7 percent respectively from the previous year. Most business owners, drawn by the sound investment environment and rosy market prospects, are optimistic in trading Tibetan specific products and services. Tibet received 21.25 million domestic and international tourists in the past five years, a 30.6 percent increase annually. Meanwhile, the regions' tourism revenue reached 22.62 billion yuan, averaging a 30 percent rise a year. As more sightseers are pouring in each year, the local tourism administration estimate tourist arrivals will hit 15 million in 2015. Tibet's local fiscal revenue reached 12.6 billion yuan in the past five years, up 188 percent from the 2001-2005 period. Over the past five years, Tibet received 7.57 billion yuan of aid from inland provinces and municipalities as well as government organizations, state firms and other institutions that are ready to help foster Tibet's development. A total of 2,661 officials and professionals from the inland areas worked in Tibet for one to three years, bringing technological and management expertise. The People's Liberation Army provides now new 'electric winter uniforms' for its troops. 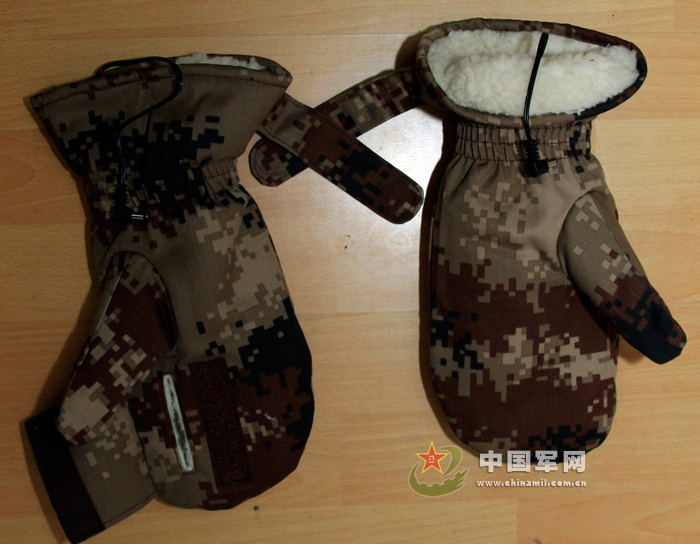 A set of batteries is said to last two hours; it can keep troopers very warm at a temperature of -28C. It is probably sufficient time for 'visiting' Demchok sector in Ladakh or other areas of Arunachal Pradesh where there are 'perceptional differences' on the Line of Actual Control. When 8 years ago, we started writing about dams on the Brahmaputra, we were regularly insulted: 'cheap journalism, running for scoops', we were told. It was perhaps a 'scoop' at that time, but years after years, the 'scoop' has taken a concrete shape. This article in The Southern Weekend reproduced on the China Dialogue website gives more precisions on the project(s). It even speaks of a reservoir: "Chen Chuanyou of the Institute of Geographic Sciences and Natural Resources Research at the Chinese Academy of Sciences published an article in Guangming Daily entitled “Could the world’s biggest hydropower station be built in Tibet?” He proposed building a reservoir on the middle reaches of the Yarlung Zangbo to raise the water level, and then drilling a 16-kilometre tunnel to carry the water to its tributary, the Duoxiong – a drop of 2,300 metres that would allow for three hydropower stations." This seems in contradiction with what the Minister of State for Water Resources, Mr. Vincent H. Pala said in a written reply in the Rajya Sabha in November: "The matter on construction of dams on river Yarlung Zangbo also called Tsangpo impacting the flow of water in the downstream areas in India has been taken up with the Chinese authorities at the highest level. During the visit of Hon’ble External Affairs Minister to Beijing in April, 2010, the Chinese Foreign Minister shared information about construction activity at the Zangmu hydropower station which was widely reported in the Indian media. He stated that Zangmu is a small project with its main function being generation of power and not water supply. He also stated that the power station will not store and regulate the volume of water and this would not have an adverse impact on the downstream areas. However, Government is keeping a constant watch on all developments in this regard." According to The Southern Weekend, it is indeed not a small project, but a megaproject (more than twice the size of the Three-Gorges Dam) which is being planned. A few months earlier, Jairam Ramesh, the Minister of State for Environment and Forests gave a written reply to a question of another Rajy Sabha MP, Mr Kumar Deepak Das. He said: "China has so far denied any proposal for diversion of Brahmaputra water in China. As per the information available with Government of India, no instances of water diversion activity on river Brahmaputra have been noticed so far." It is true that so far, no diversion of the Brahmaputra has taken place, but it is also clear that China will continue to inform India, only when it is too late to object. The main problem is that many Indian 'experts' are still denying the possibility of such projects or conclude that it will have no impact downstream. Who is the Boss for defense matters in China? The Chairman of the Central Military Commission or some obscure generals? It is difficult to say. The research paper mentioned by The Financial Times (Civil-Military Relations in China: Assessing the PLA’s Role in Elite Politics) is inconclusive. After his visit to Beijing, he pointed to “pretty clear indications that civilian leaders were un­aware of the flight test of the J-20 stealth fighter, which was widely seen as an anti-US signal". gates had just arrived in China. Some generals wanted to make a point? It is difficult to say, but a few days before the State visit of President Hu Jintao to the United States, it has serious implications: will President Obama speak to the real Boss of the Middle Kingdom or a proxy President (and Party General Secretary)? Personally, I prefer to believe in the 'good cop-bad cop' theory. While the Central leadership shows its willingness to be flexible and sort out the genuine issues between the United States and China, at the same a veiled warning is issued to Superpower No 1: China can't be ignored anymore. It reminds me of Kissinger's visit to China in October 1971. The Secreatry of State later recalled: "Our move from the airport to the Guest House (the same one which we stayed in before, incidentally) was similarly chilly. The motorcade skirted the city over roads which were closed to normal traffic and heavily guarded; the sky seemed grey and threatening. We discovered upon entering our rooms in the Guest House that each of them contained an English-language propaganda bulletin carrying an appeal on the cover for the people of the world to “overthrow the American imperialists and their running dogs.” I had a member of my staff hand the one in my room back to a PRC protocol officer with the remark that it must have been put there by accident." Later, Zhou Enlai explained that it was old slogans which were to be removed (they had been left 'by mistake'). But the message had been delivered. Robert Gates, US defence secretary, has warned of a schism between the People’s Liberation Army and China’s civilian leaders. Mr Gates’s comments indicate that the US blames a more aggressive Chinese military for some of the problems bedevilling bilateral security relations. “Over the last several years we have seen some signs of ... a disconnect be­tween the military and the civilian leadership,” he said in a speech at Tokyo’s Keio University on Friday. Mr Gates referred to “pretty clear indications that [civilian leaders] were un­aware of the flight test of the J-20” stealth fighter, which was widely seen as an anti-US signal as it took place immediately before his meeting with Hu Jintao, the president, this week. Mr Hu also chairs the Communist party’s central military commission, which controls the armed forces. Mr Gates cited two other events when Washington thought Beijing’s civilian leadership had not been aware of the aggressive approach: an incident when Chinese ships sought to ram and cut off the communications of a US reconnaissance vessel in early 2009, and a 2007 anti-satellite test that fanned fears in Washington about the militaris­ation of space. His remarks come amid increasing speculation that the PLA’s role in forming China’s foreign policy and its interactions with the ruling Communist party might be changing. In recent years, the PLA has been transforming into a modern force focused on safeguarding China’s reg­ion­al and global economic interests. 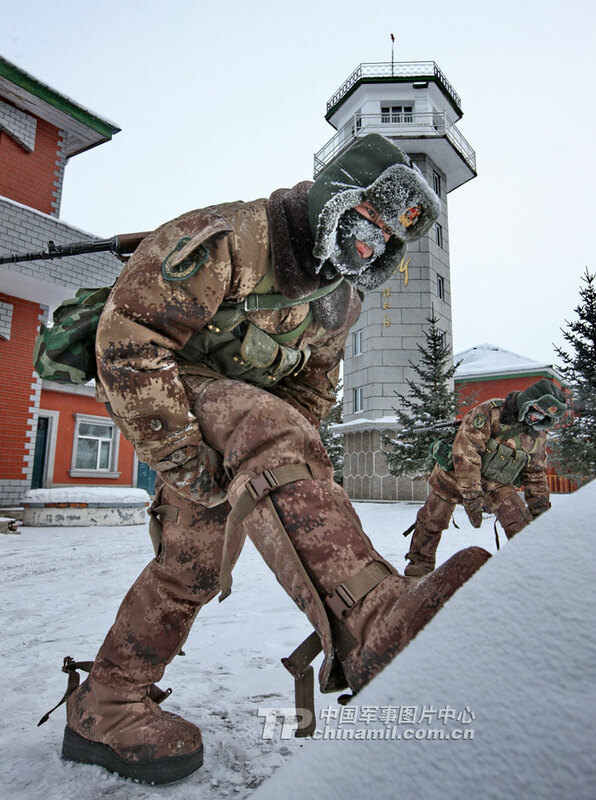 In a paper on civil-military links in China, Michael Kiselycznyk and Phillip Saunders, of the National Defense University in the US, point to a growing amount of often high-profile “policy advice” by Chinese military officers. For example, Rear Admiral Yang Yi, a retired naval strategist, said last year that Beijing should “make them hurt” in response to the US decision to sell arms to Taiwan. 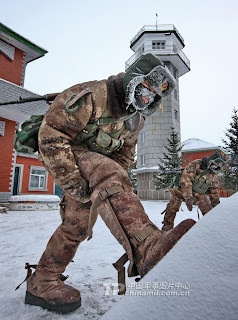 But while the authors agree that the PLA’s higher profile has “the potential to aggravate relations with China’s neighbours and other major powers [such as the US]”, it is less clear what the armed forces’ louder voice really means. Their study shows that western analysts have a poor record in predicting civil-military ties in China. Most western analysts say this is likely to con­tinue because China’s political system is so opaque. Lora Saalman, of the Carnegie-Tsinghua Centre for Global Policy in Beijing, doubts that China’s stealth fighter test flight during Mr Gates’s visit represents a civil-military schism. Diplomats in Beijing agree. They point to China’s repeated suspension of military-to-military ties with the US to punish Washington over arms sales to Taiwan as evidence that Beijing has a record of using the military as a tool for foreign policy goals. Mr Gates suggested that closer Sino-US consultations could help bridge a civilian-military divide in Beijing, adding that the US National Security Council might serve as an example to help the PLA establishment co-ordinate better with other Chinese leaders. My article Why Congress wants to forget 1962 war appeared yesterday in The New Indian Express. Click on the title to read. I have posted on my website a large collection of historical documents on the 1962 Sino-Indian conflict. These documents are mainly from the Indian, Soviet and Eastern European and American archives. More will be posted during the coming weeks.Click here to read. Keep in mind that we achieved [the present-day] situation without giving up on any principled positions. We raised this issue also because we do not understand your position, do not understand in particular your conflict with India. We had a dispute with Persia on border issues for 150 years. 3-4 years ago we resolved this issue by transferring to Persia some part of our territory. We consider this issue as follows: five kilometers more land we have or five kilometers less.this is not important. I take Lenin’s example, and he gave to Turkey Kars, Ardahan and Ararat. And until today area a part of the population in the Caucasus are displeased by these measures by Lenin. But I believe that his actions were correct. I am telling about all this to show you that for us this territorial issue was not insurmountable. You have had good relations with India for many years. Suddenly, here is a bloody incident, as result of which [Prime Minister of India Jawaharlal] Nehru found himself in a very difficult position. We may say that Nehru is a bourgeois statesman. But we know about it. If Nehru leaves, who would be better than him? The Dalai Lama fled from Tibet, he is a bourgeois figure. This issue is also not clear for us. When the events in Hungary took place, then Nehru was against us, and we did not take offense at him, because we did not expect anything from him as a bourgeois statesman. But although he was against it, this did not prevent us from preserving good relations with him. 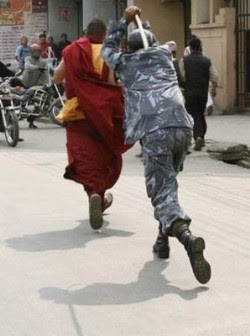 If you let me, I will tell you what a guest should not say the events in Tibet are your fault. You ruled in Tibet, you should have had your intelligence [agencies] there and should have known about the plans and intentions of the Dalai Lama. Mao Zedong: Nehru also says that the events in Tibet occurred on our fault. Besides, in the Soviet Union they published a TASS declaration on the issue of conflict with India. N.S. Khrushchev: Do you really want us to approve of your conflict with India? It would be stupid on our part. The TASS declaration was necessary. You still seem to be able to see some difference between Nehru and me. If we had not issued the TASS declaration, there could have been an impression that there was a united front of socialist countries against Nehru. The TASS declaration turned this issue into one between you and India. Mao Zedong: Our mistake was that we did not disarm the Dalai Lama right away. But at that time we had no contact with the popular masses of Tibet. N.S. Khrushchev: You have no contact even now with the population of Tibet. Mao Zedong: We have a different understanding of this issue. One can only agree with Shyam Saran, the former Foreign Secretary when he says: "Evidence made available recently indicates that Mao, having reoccupied the front line of the leadership after having been weakened by the failure of the Great Leap Forward (1959-61), himself took the key decision, towards the end of August 1962, to launch a full-scale offensive against Indian border forces." Several years ago, I had written an article for Rediff.com pointed to the same angle. I wrote: "Even if the Indian Government jealously keeps secret its own findings of the 1962 war with China, several authors, mostly retired generals and journalists, have covered the military sides of the conflict. Amongst them, Brigadier John Dalvi's Himalayan Blunder shines as a great classic, written by a soldier who paid for the foolishness and arrogance of the few in power at that time. However, as we mentioned in a previous article, several aspects in the conflict have never been researched properly, mainly due to the absence of archival documents and written memories.One of these angles is the internal struggles within China between 1959 and 1962 and the role of Mao Zedong during these crucial years. 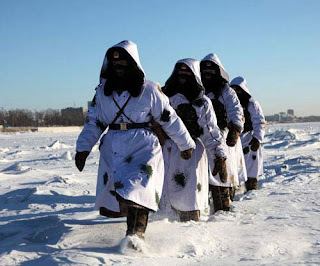 A study of the Russian and East European archives, already partially opened, throws new light on the real motivation for the Chinese attack." While Neville Maxwell and his Indian disciples are still hanging on to the theory that Nehru's Forward Policy was the cause for the war, it is today crucial for Indian historians to look at the other side of the Great Wall. I am posting here an extract of The Origins of the Cultural Revolution by Roderick MacFarquhar (Volume III, Mao changes the signals). The slap to Nehru in October 1962 strengthened Mao's newly-recovered status in the Party. He had severely criticized the 'Three Ni's and the One Tie' that is, Kennedy (Ken-ni-di), Nikita Khrushchev (Ni-ji-ta He-lu-xiaa-fu), Nehru (Ni-he-lu), and Tito (Tie-tua). Here is MacFarquhar about the timing of Mao's counter-attack (August-September 1962): "It is not difficult to understand why Mao launched this sudden [internal] counter-attack [during the 10th Plenum in September 1962]. He was faced with what he saw as fundamental and unacceptable changes in key areas of policy: a rolling back of collectivization in the countryside which would have undermined his whole vision for a socially transformed China; and a détente with the Soviet Union, which could have undermined his search for a distinctive Chinese road. In his eyes, this was 'peaceful evolution' towards capitalism. Moreover, the changes were reversals of his own past policies: rapid collectivization followed by rapid communization, and the frontal attack on Soviet revisionism. At the outset of the Cultural Revolution, in his famous polemic 'Bombard the Headquarters', he would describe what happened in 1962 as a 'rightist deviation'. The rehabilitation of Peng Dehuai would have been the final straw, constituting a devastating admission of error during the GLF [Great Leap Forward] far greater than Mao's acceptance of responsibility at the Seven Thousand Cadres Conference. It could not be tolerated.Mao had ample motives for confronting his colleagues and reasserting his dominance, but there remains the question of timing. How was it that at the end of January he felt obliged to make what his colleagues clearly felt was an extraordinary self-criticism, freeing them to explore radical policy options, whereas by early August he could launch an unapologetic counter-attack that had them scurrying for Cover? What had happened to give Mao this surge of confidence? The decisive factor was probably the size of the summer harvest, which tended to be a reliable indicator of the size of the larger autumn harvest and thus of annual output. When touring the Country after the Seven Thousand Cadres Conference, Mao was apparently being told on all sides that 1961 had been better than 1960 and that 1962 was better than 1961. On 11 May, Zhou Enlai informed his colleagues that 'except for a few regions, agriculture production in most parts of the country has stopped declining and taken an upward turn'. In Jinan in June, Mao was given this appraisal by Shandong officials on the basis of the recent wheat harvest. By the time he got to Beidaihe, he should have been able to buttress this anecdotal evidence with statistical data. Though no announcement was made about the summer harvest in 1962, we know that the data for computing its size should have been available at least by the end of the third week in July, for in 1958 the Ministry of Agriculture issued the summer harvest figures on 22 July, and they had been made available to Chinese leaders by mid-June. In his first Beidaihe speech on 6 August 1962, Mao revealed that he had seen an assessment of the industrial achievements for the first half of the year, and it seems likely that this was part of an overall statistical brief. Since the first estimates of the autumn harvest were normally made in August, Mao may have seen them too." The counter-attack on the external front (against India) was the other side of the one on the internal front (against revisionism and Soviet Union). A lot of more research has to be done in this field. One thing is sure, the 1962 conflict has traumatized the Indian psyche in a deeper way than the Chinese for whom it was only a passing episode in their history of 'class struggle'..
Neville Maxwell, author of India’s China War, resurfaced recently with an article spelling out the ABCs of the Sino-Indian confrontation (‘The Night of November 19’, IE, December 27, 2010). Once again, he put the blame squarely on Jawaharlal Nehru’s “Forward Policy” for the armed clashes in 1962, which led to India’s painful humiliation and to Nehru’s domestic and international stature being irretrievably eroded. There is no doubt that there was a serious misreading on the Indian side of Chinese intentions, in particular a failure to relate the events on the border to domestic political developments in China and the larger international situation. Evidence made available recently indicates that Mao, having reoccupied the front line of the leadership after having been weakened by the failure of the Great Leap Forward (1959-61), himself took the key decision, towards the end of August 1962, to launch a full-scale offensive against Indian border forces. The preoccupation of the US and the then-Soviet Union with the Cuban Missile Crisis may have also emboldened the Chinese leadership to target India, taking advantage of this window of opportunity. 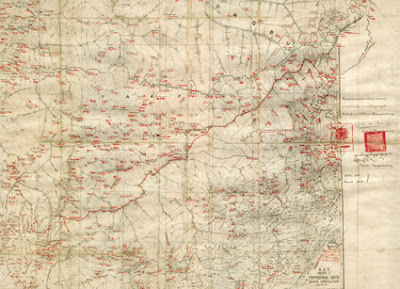 A directive sent to the Chinese units on October 6 on behalf of Chairman Mao and the Central Military Commission stated: “If the Indian army attacks, hit back ruthlessly... if they attack, don’t just repulse them, hit back ruthlessly so that it hurts.” Later, another directive ordered Chinese units to “liquidate the invading Indian army” (Roderick MacFarquhar in The Origins of the Cultural Revolution, 1997). Indian operations carried out till then were mostly in the nature of limited-scale probes and skirmishes with the Chinese border units. The Indian army had neither the troops nor the logistic capabilities to launch full-scale attacks, let alone an invasion. The Chinese were fully aware of this. This background is important since it is also the judgment of several analysts that if Mao had not reasserted his leadership role at this time, there may not have been the kind of large-scale offensive that eventually took place. It is clear from the above directives that there was to be no “measured” or “proportionate” response, as claimed by Maxwell, but rather a deliberate and calculated offensive to defeat and decimate Indian military units comprehensively. The ob-jectives went beyond the border issue and included retaliating against India for giving shelter to the Dalai Lama and demolishing India’s standing and reputation in the Third World. Maxwell says that China had no alternative but to “get its retaliation in first” once Nehru had somewhat casually declared his intention to throw out the Chinese from areas claimed by India. It is clear from the phrase itself that the Chinese ob-jective was a pre-emptive offensive rather than a counter-attack in response to any actual Indian operations, and Nehru’s ill-advised remarks provided a convenient peg to hang this on. The Indian failure was in continuing to believe that the earlier pattern of limited border skirmishes would continue and that they would not escalate into full-scale armed clashes. This failure should be acknowledged in all honesty and the country should never again have to face a situation of such total disconnect between its diplomatic posture and its military capabilities. However, the focus on the immediate causes of the 1962 armed clashes should not obscure the larger issue of Sino-Indian boundary. There is also an ABC of the border issue that needs to be kept in plain sight as we struggle to evolve a strategy to manage India-China relations in a rapidly transforming international landscape. A: India’s humiliation in 1962 does not diminish in any way the strength of India’s case concerning the India-China border. Nehru’s mistakes in handling the border dispute does not in any way negate the massive legal and historical evidence adduced by India in support of its claims. This can be readily accessed in the series of White Papers published by the Government of India on the subject. G.N. 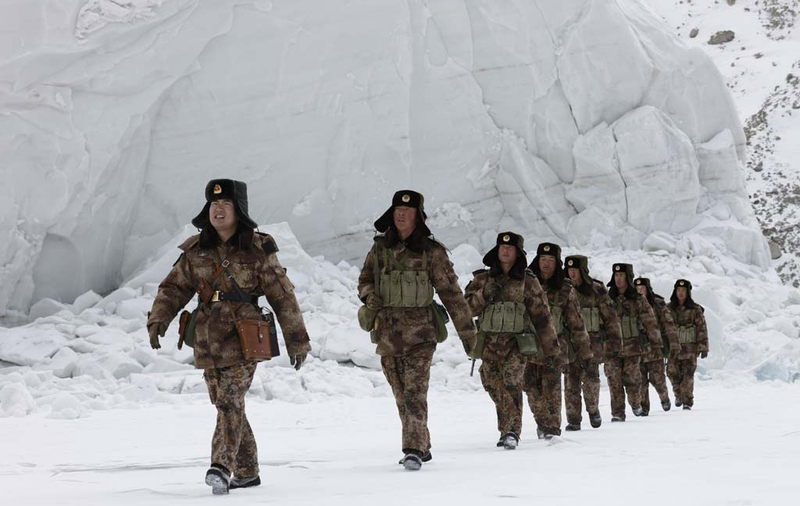 Rao’s The India-China Border: A Reappraisal also provides an excellent analysis. B: Chinese claims in the western sector have no historical or legal basis. China’s traditional boundary, shown on its own maps, never extended south of the Kuenlun mountains. Aksai Chin never belonged to China. The eastern boundary between Ladakh and Western Tibet had also been fixed by treaty as far back as 1642. 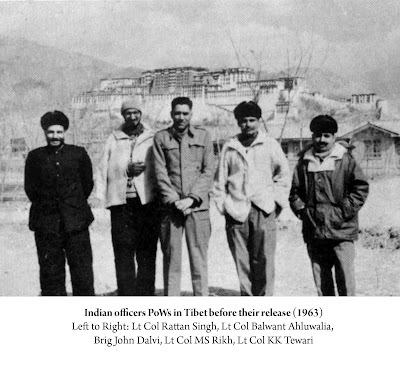 C: There were no significant differences between India and Tibet concerning their traditional boundary and the McMahon Line only formalised what was already well known and recognised by people on both sides of the border. It is China’s unilateral and armed occupation of Tibet in 1950, which created, for the first time, a border between India and China. Incidentally, until 1985, the Chinese “package proposal” put forward by Chinese leader Deng Xiaoping in 1982, would have legitimised the status quo — that is, India to accept Chinese occupation in the western sector, while China would acquiesce to the Indian alignment in the eastern sector, conforming to the McMahon Line, but without the offending label. It is only in 1985 that the Chinese side reinterpreted the “package proposal” to insist that the Indian side would have to make concessions in the east while the Chinese side could reciprocate with some unspecified corresponding concessions in the western sector. In aiming for a just and reasonable border settlement with China, India will have to take into account current ground realities. A spirit of mutual understanding and some give-and-take on respective territorial claims is unavoidable. However, it is equally necessary for us to exorcise the ghosts of 1962 and dispel the scepticism that appears to have invaded our own perceptions about the strength of our claims on the border. The Wikileaks document mentioned in the IANS article is not yet available on the Net, but it confirms our precedent posting about the influence of China in Nepal. In fact, one can clearly see the progression. 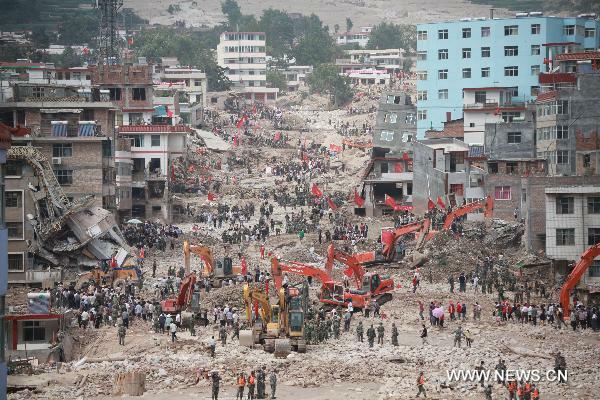 In October 2010, I wrote: "Another worrying piece of news is the fact that Nepal is quickly becoming a Chinese colony. A Nepali newspaper reported last week: 'Nepal government has lately vowed to check ‘anti-China activities’ to strengthen friendly ties with China, a major donor for the impoverished country'. When the Tibetan diaspora recently voted for their Kalon Tripa (prime minister-in-exile), it was an ‘anti-China activity’. While the elections were held smoothly everywhere else in the world, Kathmandu decided to confiscate the ballot boxes. The Ministry of Home Affairs of Nepal issued a statement that the internal vote of the Tibetans was 'against Nepal’s foreign policy which regards Tibet as an integral part of China'. Many observers see a connection between the Nepal government’s reaction and the visit a few weeks earlier of a Chinese high-level delegation led by He Yong, Secretary of the 17th Central Committee of the Communist Party of China. He is reported to have shown his satisfaction over 'Nepal’s ‘one China’ policy and the alertness adopted by the country over the Tibet issue'. Earlier, the Chinese and Nepal governments had agreed to set up a joint mechanism to share intelligence on ‘anti-China activities’ in Nepal. All this does not augur well for India which has a tendency to think and act at elephant’s pace, while Beijing is moving its cards more and more swiftly." From the time of the cable (2005) till now, one can see the tremendous speed with which Beijing has moved its pawns to take over the Himalayan kingdom. Tibetan refugees are today second class citizens. Where is India in the picture? KATHMANDU: After ordering the closure of the Dalai Lama's envoy's office in Kathmandu and taking over absolute power with a military-backed bloodless coup in 2005, Nepal's King Gyanendra dangled Tibetan refugees as bait before the US in a bid to get American support, whistle-blowing web site WikiLeaks said in its latest revelation. The ambassador also pushed for an NGO, the Tibetan Welfare Society , to be given registration. The society, believed to be a new form for the office of the Dalai Lama's representative in Nepal, was shut down in January 2005. The leaked cables said the Nepal minister's response was ambiguous. China in 2011: Smiles or threats? What a bunch of crap!! Which direction for China in 2011?